Providing up-to-date and accurate educational resources for all stakeholders in a patient’s health so that they can support the patient through clinical trials and beyond. It is important that families, friends and healthcare professionals are well-informed of scientific and medical progress of the disease. Collaborating with external organizations can provide relevant educational content and even research partners. Information is often fragmented, and individuals appreciate the opportunity to consistently voice their questions and hear from a medical expert. 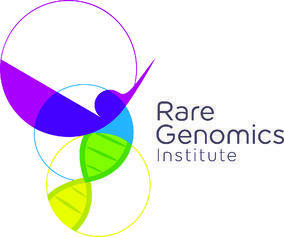 Supporting the larger rare disease community. Rare diseases can take up to 7 years to be properly diagnosed, with an average of 2 misdiagnoses per patient. While sponsors may be only interested in patients with specific rare diseases, it is also important to realize that the larger rare disease community faces many of the same challenges in medical care and social isolation. Thus, topics like navigating health insurance or understanding educational options for children with rare diseases can be beneficial for the entire community. Being mobile and versatile. One method of increasing clinical trial retention is through at-home trials. With the increase in health wearables and access to resources on the internet, patients are better informed and want to be involved with their health. Integrated mobile apps where patients can track health episodes, medication dosage and communicate with their healthcare professional can keep the patient engaged. Having these resources at their fingertips is especially useful for patients, as is being able to communicate with others involved in the process. If you haven’t already downloaded our Rare Disease Focus 5 eBook, we hope you’ll do so now. And stay tuned for more Focus 5 excerpts to be shared later this month.